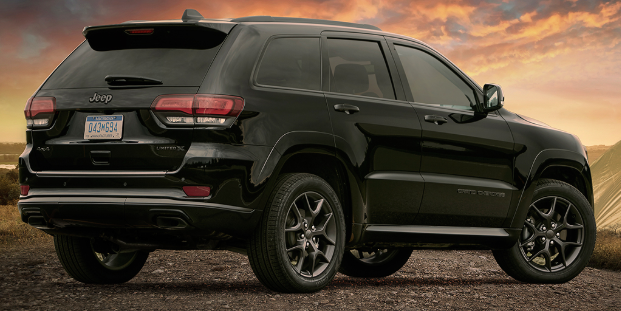 2019 Jeep Grand Cherokee vs 2019 Toyota 4Runner – Which SUV is the best for Tinley Park, IL Residents? 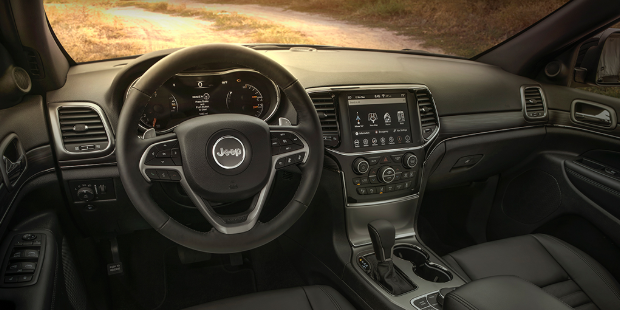 The 2019 Jeep Grand Cherokee has sleek, sporty styling, comfort, power, and great tech features for the car lovers on the go. 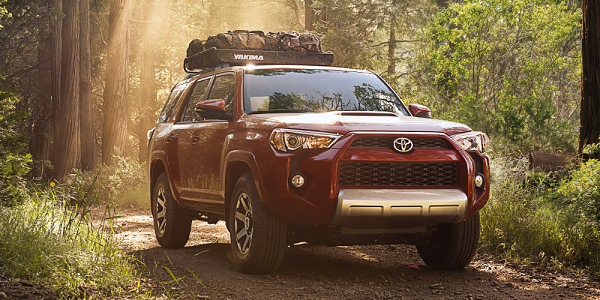 The 2019 Toyota 4Runner has the truck styling and ruggedness as well as that Toyota price. Both are in neck and neck competition but our favorite is like always Jeep Grand Cherokee with some good reasons for sure. We say they are in very close competition because when it comes to cool looks and awesome SUV capabilities, it is pretty hard to beat the both of these rivals (Cherokee and 4Runner). Hence it becomes even harder to decide between these two, thanks to the dedication and devotion of manufacturers who never let the SUV fans and off-roaders down. Come on over to Mancari’s in Oak Lawn and test drive the 2019 Jeep Grand Cherokee and see for yourself! With the 2019 Jeep Grand Cherokee’s purpose-built luxury and the 2019 4Runner ready for adventure interior, both vehicles will provide comfort for your family. The 4Runner is more truck like, with less comfort and more ruggedness. 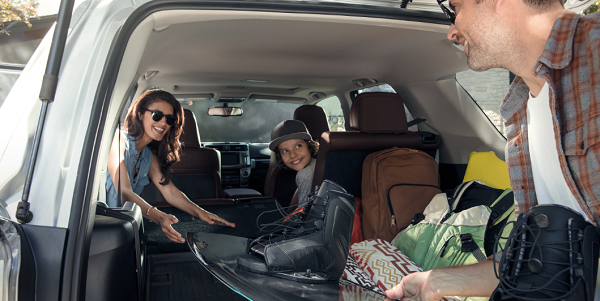 The Grand Cherokee has options that can have Mom forget that she’s not in a luxury car! Both vehicles have options for heated front seats and lumbar support. In 2019 the Jeep Grand Cherokee far exceeds the Toyota 4Runner in the technology arena, especially in the safety features. In looking for a new SUV for your busy lifestyle, you want to be sure to have the latest and greatest safety tech out there. Both vehicles have touch screens with hands free calling / Bluetooth and app connection to your smartphones available. Technology to make everyone in the family happy, come play with the 2019 Jeep Grand Cherokee at Mancari’s in Oak Lawn. In the performance arena the 2019 Grand Cherokee far outperforms the 2019 4Runner. The 4 Runner has a 4.0 Liter V6 with no other engine options. 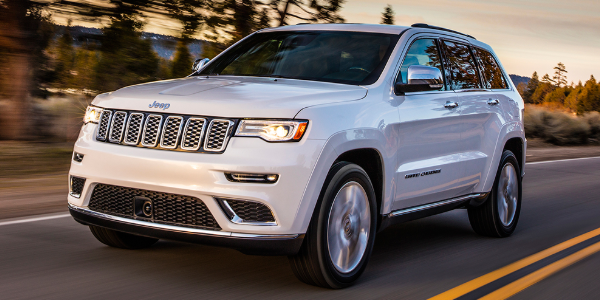 Feel the power of a 2019 Grand Cherokee, take one on a test drive at Mancari’s located in Oak Lawn. Here you can estimate that how much you have to pay extra on the top of the value of your old car. Why Buy From a New Jeep Grand Cherokee from Mancari’s near Tinley Park, IL? At Mancari’s CDJR, everyone drives regardless of credit. We are a customer service focused dealership. You’ll find us friendly, honest, and willing to work to get you in the vehicle you desire. Come see us at 4630W 95th St in Oak Lawn and you will keep coming back to us for more!